Grading Obama’s Afghanistan Speech: Surge or Exit Strategy? I listened to President Obama’s speech on Afghanistan at West Point and it was not entirely encouraging. His reluctant admission that more troops are needed was welcome but I am concerned he is not supportive of an effective counterinsurgency program as was approved by President George W. Bush during the “surge” in Iraq. Perhaps a better way of putting it is I am puzzled whether his speech argued in favor of letting facts on the ground determine the length of American involvement or whether he is committed to removing American troops in eighteen months. I was left thinking he was trying to say too many different things to too many different audiences at the same time. As I tell my students before they give their oral presentations, “always be aware of your audience.” In their case determining the audience is easy. They are doing the presentation for me, in order to receive a grade, as well as their colleagues, in order to edify–but not confuse–them. President Obama finds himself in a far more difficult situation. He has multiple audiences he needs to appeal to. Making matters worse, what one group wants to hear is often in opposition to another group. The most obvious audience is that of the West Point cadets and experienced officer corps. If I were grading Obama regarding his appeal to this audience it would be a D. The primary reason is he never once mentioned victory as an outcome of his strategy. Why does this matter? Put yourself in the mindset of an officer who has (or will soon have) enlisted soldiers under his command. One question that would likely spring to mind is, “if my commander in chief is not convinced victory is possible, what do I tell my troops?” That is not a situation an officer wants to find himself in, to say the least. Another audience are the legislators, activists and partisans of the president’s political party. As the health care debate has shown, Democrats are not united on much of anything. 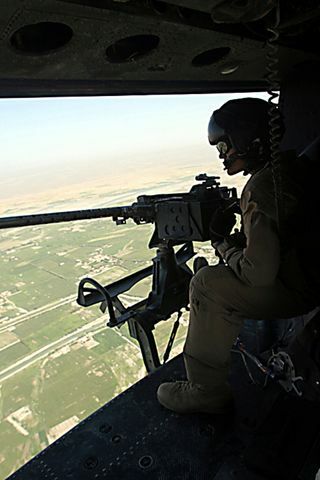 Regarding military action, one the one hand, most Blue Dog Democrats support a strong military and the use of force. But the wing of the Democratic Party that was largely responsible for the president’s victory are the progressives. Most of them want the troops home yesterday. The president’s speech contained some tough talk regarding Al Qaeda and the Taliban for the Blue Dogs and a clear timetable for the progressives. Or, was that a clear timetable? What was that mention of “facts on the ground” all about? Isn’t that what President Bush said time and time again when asked when we would withdrawal from Iraq? Obama did better with Democrats but not great, C-range territory. The final audience to consider are Republicans, the political opposition. They do not seem very pleased with the president’s speech either. Some dismissed his strategy out of hand before he even gave his speech while others have been railing against him for taking so long to get his act together. Many wanted–but did not expect–Obama to commit to the 60,000 troops that General McChrystal asked for. They were also perturbed by his references to torture and shutting down Gitmo. So he gets another D.
Setting aside how he did with these audiences, just a few words about my own perspective. First, I am not as critical as some that Obama took a while to put his Afghanistan plan together. Yet I agree that it is was too long, especially for someone who made a more effective Afghanistan strategy a centerpiece of his presidential campaign. Progressives seem to have forgotten about that. 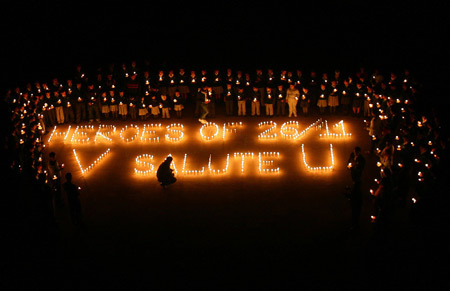 Second, I concur it is important to let President Karzai know we are not going to be there forever. But did President Obama have to announce the timetable to the entire world? Couldn’t he have done this more diplomatically? Third, the political cheap shots were a disappointment. So how did he do for this audience of one? I give him a C-. Full transcript of the president’s speech here. Obama tried to have it both ways: he gave the generals another 30,000 soldiers, almost as many as they had asked for, but told the country (and anybody else who might have been listening) that disengagement would begin in just 18 months. At its center, in other words, the speech contradicted itself. You cannot argue, as he tried to, that (a) this is a war America must win to safeguard its own security, and (b) whether the US is winning or not, the troops will start to come home in 2011. If they can start to come home in 18 months regardless, why not start to bring them home now? That was not the only contradiction. We are against “nation building” (again). But as well as creating the country’s own security forces out of next to nothing, we want a civilian surge to build capacity and foster development. Run that by me once more. I had hoped Obama would declare that nothing will deter him, as commander-in-chief, from prevailing in Afghanistan. But it turns out a lot of things might deter him. He listed a few of them: the cost of the war, its length (if more than 18 months from January 2010), the failure of Afghans to step up to the task sufficiently. He hedged. Americans and our allies were looking for more, I believe. To have rallied the country and the world, Obama needed to indicate he would lead a fight to win in Afghanistan, with the help of allies if possible, but with the armed forces of the U.S. alone if necessary. He didn’t say anything like that. He didn’t come close. At the moment he needed all of his persuasive powers, Obama gave the worst major speech of his presidency. I admit: I expected to be, even wanted to be, carried away a bit by Obama’s trademark rhetorical magic. But I wasn’t, not even a little. I found the speech rushed, sing-songy and perfunctory, delivered by rote. I despise the right-wing Obama-Teleprompter taunts, but even I wanted to say, Look at your audience, not the damn Teleprompter, Mr. President. Obama looked haggard, his eyes deeper set, and I believe this decision pained him. But I’m not sure even he believes it’s the right decision. One year ago today (November 26) Mumbai, India experienced its worst terrorist attack. Ten jihadists with small arms and grenades killed over 173 people and wounded over 308. They managed to hold the police and armed forces at bay until November 29. Kasab said he had decided to confess and face a possible death sentence in India after learning that Pakistan intended to prosecute five men accused of being linked to the attacks. “I have heard that Pakistan has now admitted I am Pakistani. My wish is to end the trial and for you to punish me,” he told the judge. He had previously pleaded not guilty to 86 offences, including murder and waging war against India, claiming that a confession had been beaten out of him. Yesterday, however, he detailed how the Mumbai strike had been masterminded by Zakiur Rehman Lakhvi, a senior member of the Lashkar-e-Taiba terrorist faction. The day before the attacks began on Nov. 26 they allegedly sent money using a stolen identity to a U.S. company to activate Internet phone accounts used by the attackers and their handlers, said Stefano Fonsi, the head of anti-terror police in Brescia. The transfer was just $229 but gave the attackers five lines over the Internet, which are difficult to trace and allowed militants to keep in touch even during the rampage, Mr. Fonsi said. The two suspects in Brescia, identified in a police statement as 60-year-old Mohammad Yaqub Janjua and 31-year-old Aamer Yaqub Janjua, are accused of aiding and abetting international terrorism as well as illegal financial activity. Their agency, which operated on the Western Union money transfer network, was seized by police. Transferring funds using the identity of other people was a common practice at the Madina Trading agency in Brescia, and the Italian probe broke up a ring of people who used the system, Mr. Fonsi said. Two more Pakistanis were arrested in Saturday’s raids for allegedly committing fraud, money laundering and other crimes through the masked transfers, but they were not linked to the Mumbai attacks. A fifth Pakistani man escaped arrest and was still being sought. An additional 12 people were flagged to prosecutors for possible investigation but were not arrested, Mr. Fonsi said. Just by using the stolen identity, the suspects had transferred some €400,000 ($590,000) between 2006 and 2008 to various countries. The network also used its contacts in Pakistan to help illegal immigrants enter Italy, Mr. Fonsi said. What are the lessons we can learn from the Mumbai terrorist attacks? The first is recognizing the mayhem and destruction that can be accomplished with hand-held weapons. Bombs or other high explosives are not necessary. This was sadly made apparent by Major Malik Hasan’s recent rampage at Fort Hood. The second is realizing the extent of the global connections and networks established by these jihdists rather than narrowly focusing on South Asia. The third lesson regards the wisdom of trying people responsible for warlike acts in civilian courtrooms. While our system of jurisprudence is not as labyrinthine as the Indian courts, the delays in Kasab’s case are what we can likely expect in the trial of Khalid Sheikh Mohammed and the other Gitmo detainees. 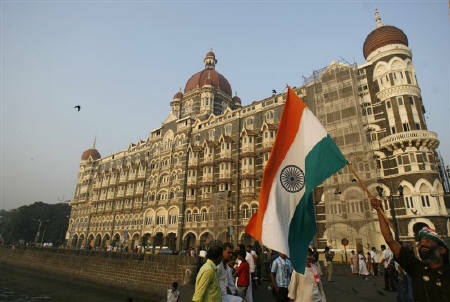 My thoughts and prayers go out to the families and friends of those killed and wounded in the Mumbai terrorist attacks. Remember what happened on this day one year ago. 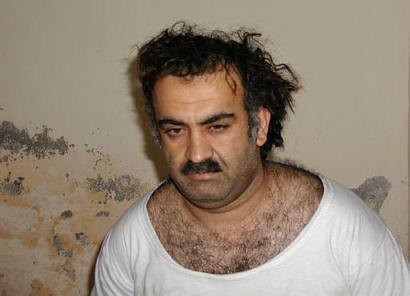 Attorney General Holder announced he is bringing Khalid Sheikh Mohammed (KSM) from Guantanamo to NYC to face a criminal trial instead of allowing his case to continue in front of military tribunal. Holder claims the courts have a better chance of convicting KSM than the tribunals, which is crazy given the defendant was prepared to plead guilty and said he wants to receive the death penalty. Holder also thinks the criminal court system will move at a faster pace. Conservative critics of Holder’s decision point to the length and delays in the Jose Padilla case as well as the real possibility that much of the evidence pointing to KSM’s will be thrown out due to the methods used to extract that evidence, in particular water boarding. They are also concerned a criminal trial will lead to important intelligence falling into the hands of Islamist extremists. 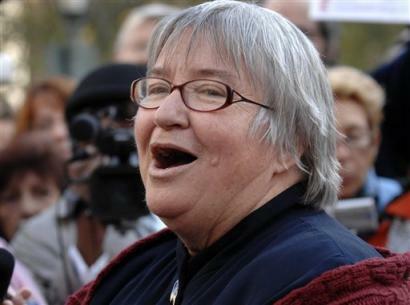 One defense attorney who knows these extremists intimately is Lynne Stewart. 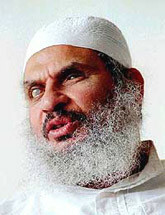 Stewart was sentenced to two-and-a-half years in jail for passing information for her client, Omar Abdel Rahman. Another defense attorney who is finding himself in the hot seat is Paul Bergrin. Better known for his role in Abu Ghraib trials, Bergrin is being tried in a New Jersey court for the murder of a witness and informant who was preparing to testify against one of his clients. Bergrin is “also accused of trying to hire a Chicago hit man to kill a witness in another federal drug case. The assassin recorded their conversations and is cooperating in the case, prosecutors said.” The federal prosecutor added prostitution, drug and bribery charges earlier this month. Given his harsh condemnation of the Bush administration, the Bergrin case is viewed in some (loony left) quarters as an attempt to silence the voice of dissent. In other news, I was contacted by a reporter in the Bay Area for a story he is writing on the political cult, NATLFED. He wanted to ask me a few questions about the organization regarding recruitment and other matters. At first I was flattered but after doing a bit of searching on the Internet I became concerned that the journalist was less interested in writing a serious critical piece than producing a snarky article about kooky bay area left-wing organizations. That’s all well and good but he doesn’t require me for that. Another thing I noticed after typing out my answers to his questions was I may as well post some of that information here at my blog. So expect another post on NATLFED a few weeks after his article is published. I will make sure to post a link to his piece as well. I am very interested in reading it and hope I am wrong about my assumptions. The blog, Spanish Security World added me to their blogroll and I was glad to reciprocate. Posted RKL’s “It’s a Beautiful Feeling!” 7″ and Anthrax’s “Capitalism is Cannibalism” 7″ at Roland’s new music blog. Next post, Rudimentary Peni‘s “EPs of RP”. Bill Jones has finally posted some of the videos he did for mutant trumpeter Ben Neill on Youtube. The music is from Ben Neill’s Automotive album. They take a while so be patient. Blogger Claudia Cadelo and another woman were detained in the incident, but without violence. Sánchez’ husband, Reynaldo Escobar, told El Nuevo Herald she’s walking with a crutch and taking medicines for a backache, the result of being thrown head-first into a car and punched in the back by the three men in plainclothes who detained her for 20 minutes. There was no word on Pardo’s health. Cuba’s government-controlled mass media has made no mention of the incident, which received wide coverage abroad because of Sanchez’s fame as the prize-winning author of the blog Generación Y, which regularly criticizes the ruling system. “The Cuban authorities are using brute force to try to silence Yoani Sanchez’s only weapon: her ideas,” said José Miguel Vivanco, head of the New York-based Americas section of Human Rights Watch. “The international community must send a firm message to Raúl Castro that such attacks on independent voices are completely unacceptable. “This brazen attack makes clear that no one in Cuba who voices dissent is safe from violent reprisals,” Vivanco added. It’s the 490th anniversary of Havana today and the Cuban government has arranged for celebratory activities. Ordinary residents of Havana and all Cubans who cherish their civil and human rights have less to celebrate, however, as Cuban blogger Yoani Sanchez regularly reminds us. Sanchez has become a major irritant of the regime because of her penetrating posts about the absurdities and injustices of everyday life in communist Cuba. You can see her blog in Spanish here, and in English here. Just over a week ago, in an incident that was widely reported in the international press and that reveals the threat to the Cuban regime of the growing Cuban blogger movement, Sanchez was assaulted in Havana by plain-clothed government agents. Though she was forcefully beaten, she and her friends managed to fight back and get away. More than that, they took pictures of their assailants and of the incident for posting on the blog, prompting the government thugs to leave the scene. One photo of an agent features the caption “She is covering her face…Perhaps afraid of the future.” Another photo features Sanchez pursuing her assailants with the caption: “They have watched us for decades. Now we are watching them.” Very smart. The husband of Cuban dissident blogger Yoani Sanchez said he was attacked by government supporters as he waited on Friday to confront state security agents accused of detaining and beating his wife two weeks ago. Sanchez, whose writing about the hardships of Cuban life were praised this week by President Barack Obama, said men believed to be government agents forced her into a car and hit her repeatedly in a brief detention on November 6. Reinaldo Escobar, also a blogger, said he had gone to a Havana intersection hoping that state security agents would respond to a challenge he issued earlier to meet there for a “verbal duel” about his wife’s incident. About 20 of his supporters began shouting back and the situation turned violent, he said. “They pulled my hair, hit me with a shoe, tore my shirt, pulled away my bag of books. I lost my glasses,” Escobar, aged 62, told Reuters. 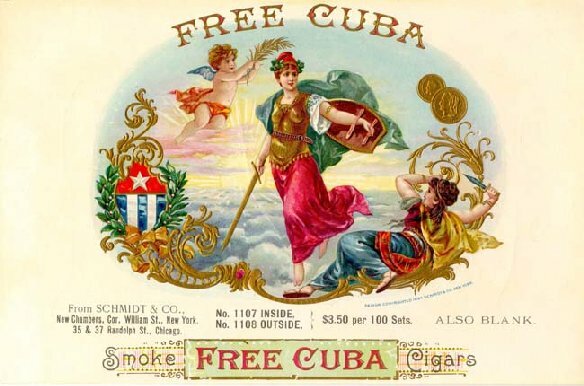 “Your blog provides the world a unique window into the realities of daily life in Cuba. It is telling that the Internet has provided you and other courageous Cuban bloggers with an outlet to express yourself so freely,” Obama wrote. “The government and people of the United States join all of you in looking forward to the day all Cubans can freely express themselves in public without fear and without reprisals,” Obama said. Sanchez, 34, has won several international awards and was named by Time Magazine last year as one of the world’s 100 most influential people. Obama’s response added to her international stature as Cuba’s leading dissident voice, but she is little known on the island where Internet access is limited. The Cuban government has made no secret of its distaste for her, but she is among a growing group of young Cubans who have taken to the Internet to express their desire for change on the island. I haven’t posted anything on radical nuts for a while. Here are a couple of items. The first concerns the animal rights extremists I posted about back in August of 2008. I read that the FBI picked up a suspect named Nathan Pope shortly after the firebombing but did not charge him for the crime. On Sunday, October 21, 2007 a group of approximately twenty people, including Mr. Buddenberg, Mr. Pope, and Ms. Stumpo, demonstrated outside a University of California Berkeley professor’s personal residence in El Cerrito, California. The group, some wearing bandanas to hide their faces, trespassed on his front yard, chanted slogans, and accused him of being a murderer because of his use of animals in research. The professor told police he was afraid, and felt harassed and intimidated by the extremists. On Sunday, January 27, 2008, a group of approximately eleven individuals, including Mr. Buddenberg, Mr. Pope, Ms. Stumpo, and Ms. Khajavi, demonstrated outside the private residences of several University of California Berkeley researchers over the course of the day. At each residence, extremists dressed generally in all black clothing and wearing bandanas to hide their faces marched, chanted, and chalked defamatory comments on the public sidewalks in front of the residences. One of the researchers informed authorities he had been previously harassed and the incident had caused him to fear for his health and safety. On February 24, 2008, five to six individuals including Mr. Pope, Ms. Stumpo, and Ms. Khajavi, attempted to forcibly enter the private home of a University of California researcher in Santa Cruz. When her husband opened the door, a struggle ensued and he was hit by an object. As the individuals fled, one yelled, “We’re gonna get you.” The professor and her husband both told the FBI they were terrified by the incident. On July 29, 2008, a stack of flyers titled “Murderers and torturers alive & well in Santa Cruz July 2008 edition” was found at the Café Pergolesi in Santa Cruz. The fliers listed the names, addresses, and telephone numbers of several University of California researchers and stated “animal abusers everywhere beware we know where you live we know where you work we will never back down until you end your abuse.” The investigation connected Mr. Buddenberg, Mr. Pope, and Ms. Stumpo to the production and distribution of the fliers. whoever uses or causes to be used any facility of interstate commerce for the purpose of damaging or interfering with the operations of an animal enterprise, and in connection with such purpose, intentionally places a person in reasonable fear of death or serious bodily injury to that person or an immediate family member, or conspires or attempts to do so, by a course of conduct involving threats, acts of vandalism, property damage, criminal trespass, harassment, or intimidation, shall be imprisoned for not more than five years. The irony is, that by targeting legal protesters, federal and state authorities are inadvertently encouraging more illegal direct action on behalf of non-human animals. One has only to look at the increased number of actions of economic sabotage, vandalism and live animal liberations over the last 2 years to realize that LEGAL activists are being increasingly driven into clandestine and anonymous actions, morally justified but illegal actions which are rarely punished. As a supporter of direct action, the Animal Liberation Press Office is pleased at the increase in actions by the Animal Liberation Front and other clandestine groups; the increase is expected to continue as long as authorities persist with their heavy-handed abuse of legal protesters. In today’s climate, it appears that it’s less risky by far to engage in underground activities then in legal pickets. ALPO is essentially arguing society should allow thugs to intimidate scientists or else activists will engage in more extreme behavior. Furthermore, they openly support criminality. This is what extremist activism is all about. Accept their warped vision of reality or face the destruction of your property and possibly serious injury or even the loss of your life. Moving overseas to Greece, radical leftist terrorist wackos Sect of Revolutionaries have claimed responsibility for shooting a police station earlier this month and are turning their attention to journalists, capitalists and other “prominent Greeks.” The day after the Sect’s attack on the offices of Alter TV, Athens police “discovered a car bomb abandoned outside Citibank offices in Athens, which contained enough explosives to crumble a four-story building” (ERT News). The group claimed it had been “unlucky” not to kill a police officer during a predawn attack two days earlier against the police station in the western Athens suburb of Korydallos, in which three assailants in hoods and helmets opened fire and threw a handgrenade that failed to explode. Nobody was injured. The group also vowed to target other prominent Greeks. “To those who are already wondering why we chose some random policemen and not a high-ranking official, a prominent journalist, a state functionary or at least a capitalist, we answer that their turn will come,” the statement said. Police spokesman Panayiotis Stathis said on February 4 that authorities were taking the statement seriously and that the group seemed to be following the methods of the Revolutionary Struggle extremists who shot and seriously wounded a riot policeman last month. “It seems to be genuine; it’s a group that has not appeared before but the methodology seems to be the same as that of Revolutionary Struggle,” Stathis said. Sixteen 9mm bullet cases, believed to be from a German MP5 submachine gun, were found by police at the scene and are being tested to see if they match bullets used in known Revolutionary Struggle attacks. Police authorities are also studying closed-circuit television footage from the area. Although the anti-authoritarian rioting sparked by 15-year-old Grigoropoulos’ death subsided before Christmas, attacks on police targets have increased. Media reports are contradictory with some claiming this is a new group and others suggesting the Sect may be related to another organization, Revolutionary Struggle. You might remember Revolutionary Struggle from their attack on the American embassy in Athens back in 2007. Another group calling itself the Conspiracy of Fire Nuclei has claimed responsibility for seventeen firebombings across Athens.